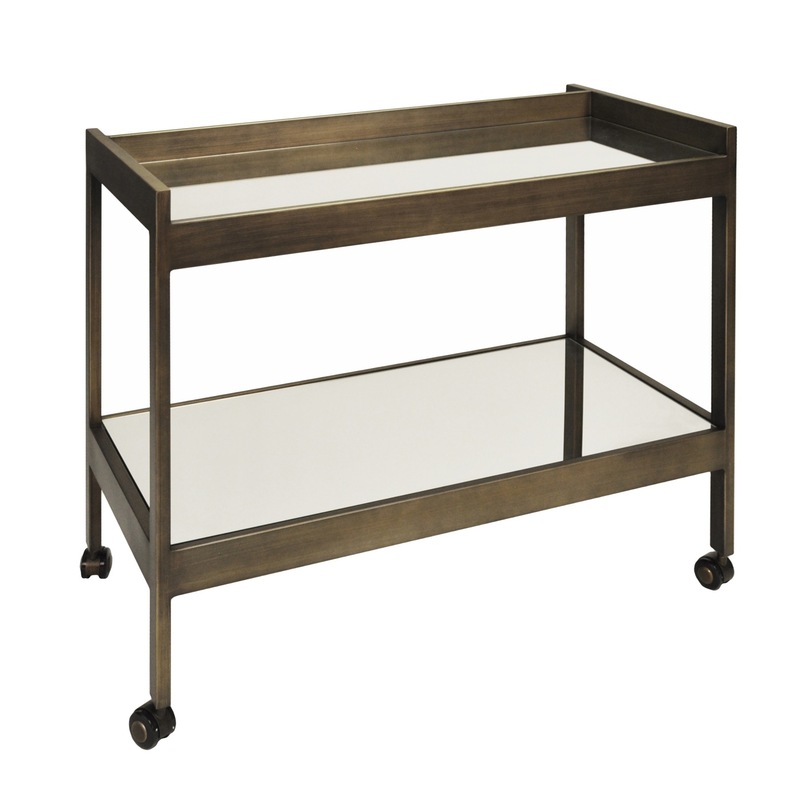 Go for glam with this bronze-finished bar cart with plain mirrored shelves. 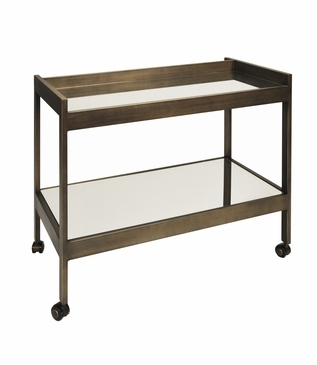 This rolling cart's luxurious finish and modern lines exude luxury. Due to the handcrafted nature of the iron frame, slight imperfections should be considered part of the piece's inherent character. Requires truck delivery. Size: H: 33" • W: 36" • D: 20"